Welcome Diamond Starr Boutique Aboard!! I was tagged in a Tweet on Twitter that was sent out by Diamond Starr Boutique. The lovely lady behind Diamond Starr Boutique were looking for some folks who were interested in receiving some free goodies. If you know anything about me or my blogs I am all about FREE goodies! I was so EXCITED to see what I was going to receive in my kit. Diamond Starr Boutique is out of Canada but they also ship to the States as well!! To the left you will see what I found inside! When I got the box I tore into it right there on my front porch, who cares right?! Inside I found the Foreplay Ice Glacier Teaser box wrapped up in bubble wrap and the cute little bag was actually wrapped up with the tissue paper. The 2 envelopes are a Welcome Letter and Survey. I LOVE the Welcome Letter, which I thought was AWESOME as the ONLY welcome aboard messages/letters in the past 4 years of being in the blogging world were strictly emails. 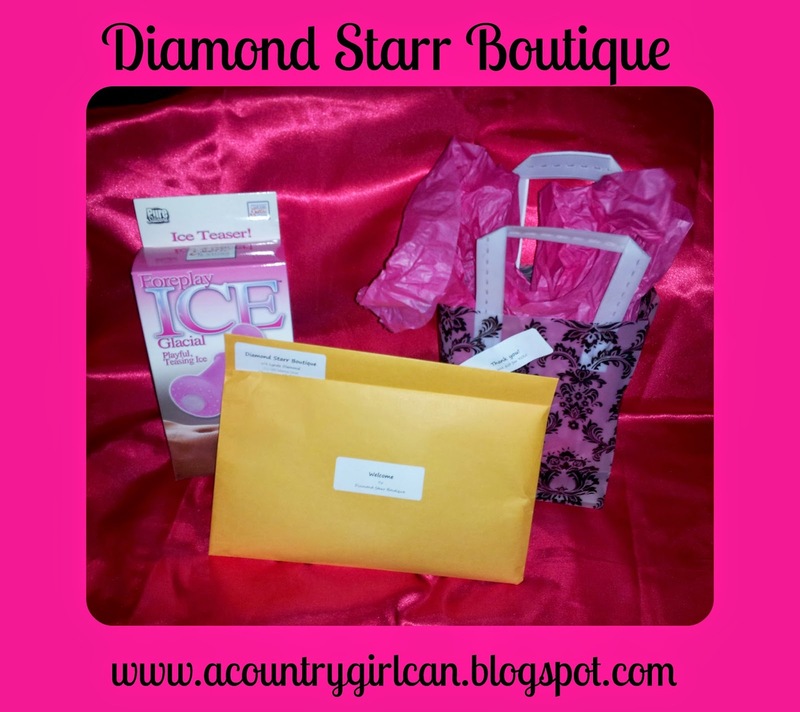 I love the personal touch that is added to Diamond Starr Boutique's packaging and reviewer packages.